For the last few years, I have been lucky enough to take the week between Christmas and New Year's off from work. Prior to this, I would take a few days before Christmas off and use that time to finish up any last minute prep or shopping for Christmas but that usually left me feeling exhausted and wishing I was home to recover the days after. I have learned that having the time after Christmas to organize, clean, and declutter has been priceless. This week is becoming one of my most favorite things I do for myself each year. I am able to put Christmas presents and decorations away. I'm able to mentally reflect on 2017 and prepare for the upcoming year ahead. It really helps me to start the new year refreshed and ready to go. On Tuesday, I kept the girls home from daycare thinking they would want to play with their toys and recover from the holiday. They were great until about 3:30. At about that time, they were beyond wild and needed to let some major energy out. I sent them to school the rest of the week and used that time for myself. The best thing you could do as a Mom, I promise you. On Wednesday, I cleaned and organized the entire playroom. I bought bins and created labels. I purged old, unused toys. I didn't love spending a free day cleaning but for me, this allowed me to not only clear physical clutter, but cleared mental clutter as well. The room is almost done and I am so excited to share this space with you guys! The rest of the week was spent planning for 2018. I am a New Year's Resolutioner. I make lists and goals. I love the start of a new year. I know many people think it's useless and a cliche, but for me, it's so important. I love having a new set of goals. I love having a "word of the year" and having a theme for the year ahead. For the first time ever, I purchased the Cultivate What Matters Powersheets. This is essentially a workbook to help you get to the core of what matters to you and in turn, make goals that are meaningful and cultivated in what matters to you. There is prep work and worksheets. At first glance, it seems overwhelming and even a little "too much" but once I started diving in, I couldn't stop. I completed all of the January prep and ended with a full and exciting list of goals and ways to make those goals happen. Going into this, I wasn't sure where I would land. I wasn't sure what my goals would be focused on for the year. Sure I knew I needed to get on track with my health (cookies anyone?!) and start saving again after all of the holiday spend but overall, I was unsure. About halfway through the prep work, you come to selecting a word of the year. After reflecting on what I had worked through, I landed on Simplify. I want to overall simplify my life---health, finances, home, relationship. Get back to good. I have a bunch of action items in my mind to get to this simplified life and I'm excited to dive in! With the Powersheets, you are able to make a monthly "tending list". These are monthly, weekly, and daily actions for each month that work toward accomplishing the larger goal for the year. For January, for example, I have on my tending list to create a 2018 budget on Mint.com. This will work towards my overall goal of focusing on long-term financial wellness. I also have daily goals of Shakeology, Clean Eating, and hitting a step goal to work towards my physical health goal, and so on. I love this idea way more than I anticipated I would. I love that the small goals help to work towards larger goal without the overwhelming to do list running through my mind. I love you can chart your progress throughout the month as well. With all of this decided and behind me, I have been enjoying my family this weekend. Today we are just hanging out, enjoying the last day of 2017. We visited the zoo and got this gem of a picture! The giraffes were hilarious today, even fighting and chasing each other. 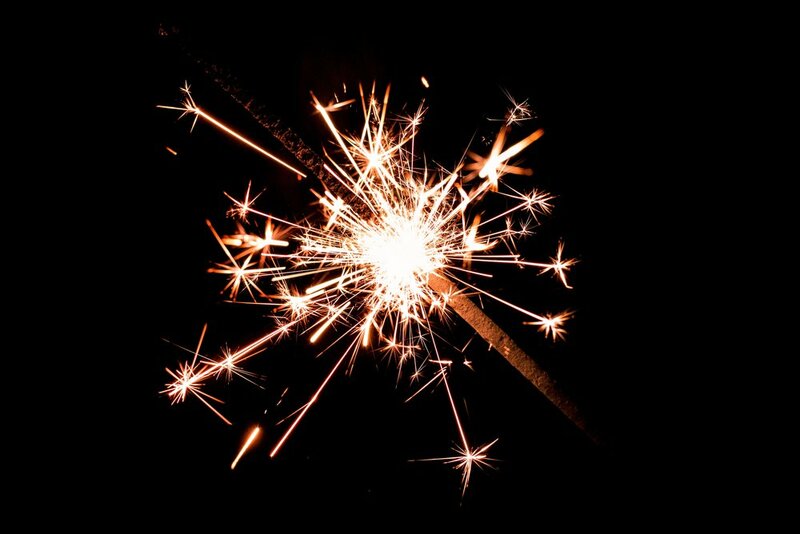 My mom is headed over later for a little dinner and sparklers with the girls. Tomorrow we have no plans and I look forward to just relaxing and getting ready for the week ahead. Are you one that makes New Years goals or resolutions? Have you ever worked through Powersheets? I would love to you know your thoughts! I hope you have a great night tonight whether you are out with friends, on the couch with family, or snoozing right on through the ball dropping. Happy 2018!